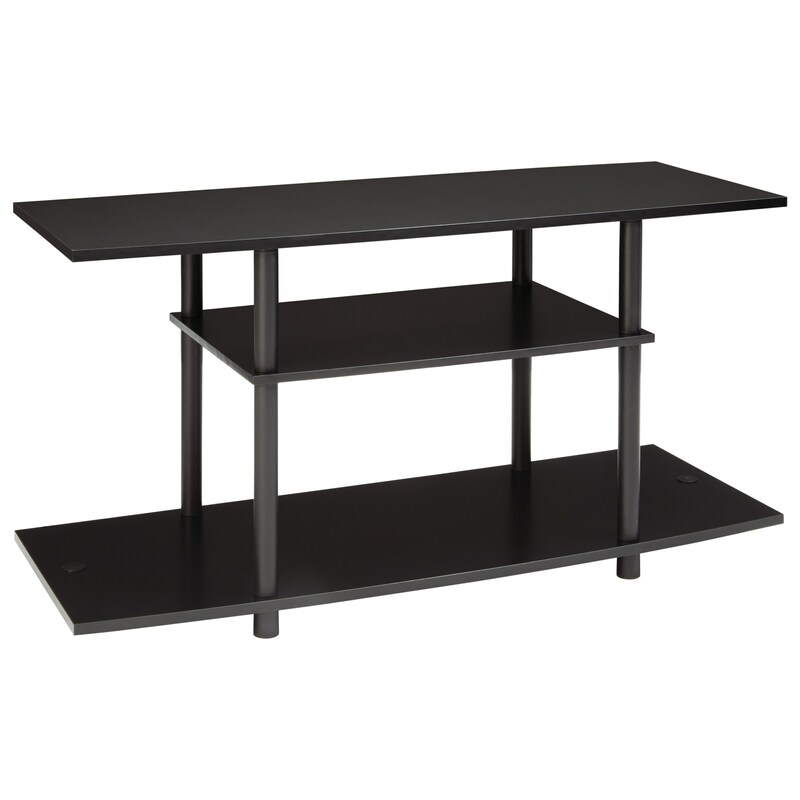 Width (side to side) 42"
Height (bottom to top) 21"
Depth (front to back) 16"
Engineered wood shelves and durable plastic legs in a dark finish set the tone for this contemporary TV stand. Its minimalist, sleek design is a great way to keep smaller living spaces feeling open and light. 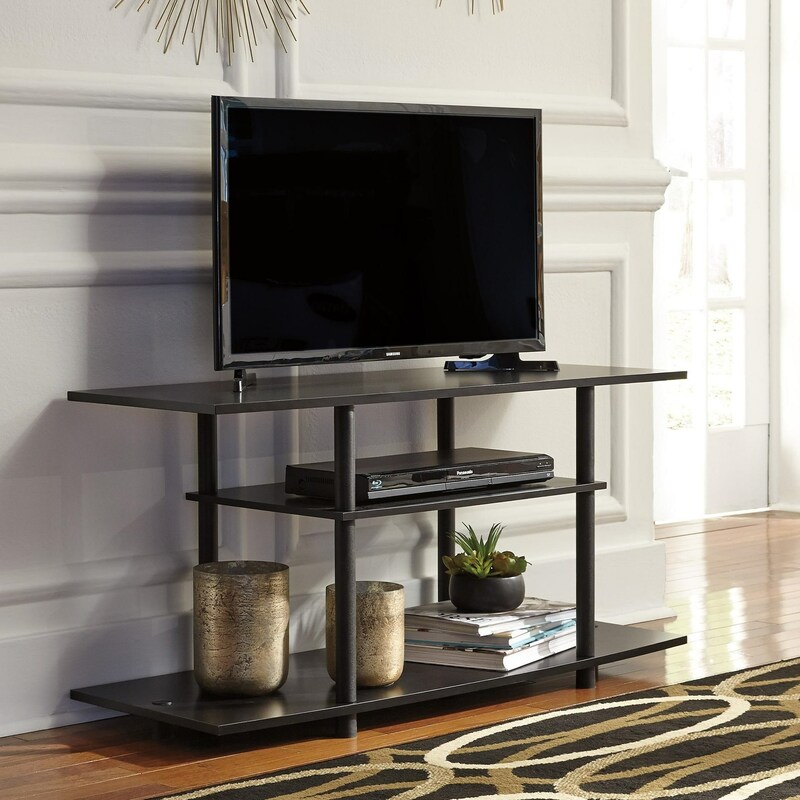 The open shelving provides easy access to your entertainment systems, as well as a place to showcase accent items.